Here is the funny, kind of ironic thing about this blog post. 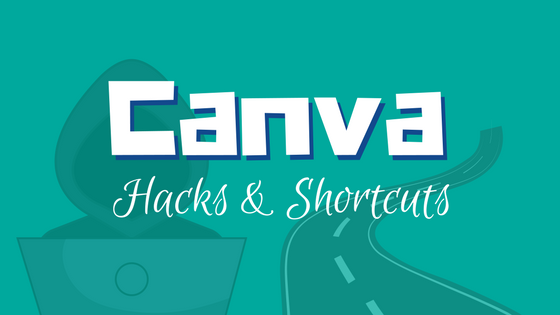 Canva was basically created to save amateur designers oodles of time creating graphics—and graphics that actually look pretty dang good. But like with most things, we always want something better. But “better” really just usually means we want it “faster.” Starbucks is convenient, but many stores now offer drive-thrus to make your coffee-grabbing experience even quicker. There is Pizza Hut, but also Pizza Hut Express; we have P.F. Chang’s, but the faster option in Pei Wei. 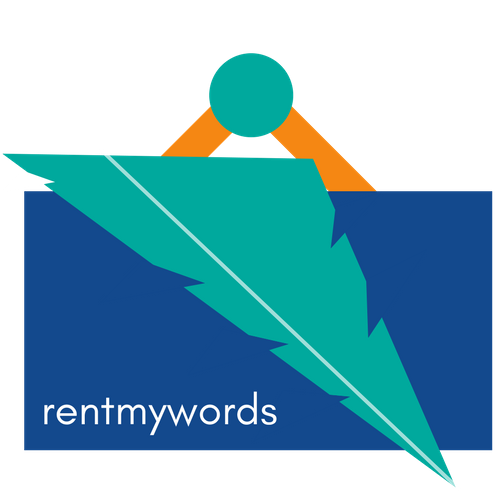 So, we have Canva. It’s awesome. It’s fast. But we want it faster. The following shortcuts are a little more obscure, but still not super crazy…kind of like the “secret menu” at your favorite fast food joint. Easily add a text box to your canvas with the click of a button, rather than navigating with your mouse and then making two additional clicks. 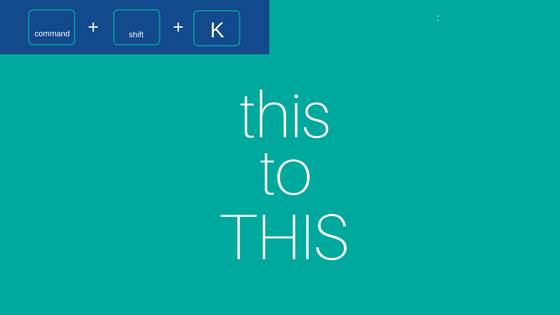 The fast hack: Punch the letter “t” on your keyboard and the body text box appears. One of the more frustrating things with Canva vs. Photoshop, Illustrator, etc. is the layer selection process. It’s difficult to click around the different selection boxes. This shortcut helps you choose between your different layers. The fast hack: Press/hold “command” and then press the down arrow to select a layer below. Do it again to select the next layer down, and then do the same action, but with the up arrow to make your way back up to the top. Look out for the visual indicator that appears when you’re doing this, which lets you know which layer you’re actually on (it’s a series of vertical dots near the upper right-hand corner of your canvas. It’s subtle, and easy to miss, but so useful. The slow way: Fumble around to select a layer in the first place, and then navigate with your mouse to “Arrange” and then play the “Back” and “Forward” game until you have it figured out. Especially without a mouse and only using the trackpad, it’s a bit cumbersome to navigate around from icons to search, and then to something like “upload” and then back to the canvas, etc. So if you want to quickly search with the stroke of a key, here you go. The fast hack: Simply press the “/” button. If you want to make it a little bit harder, you can also press/hold “command” and then the “?” key. Doing so will jump you straight to the search box. 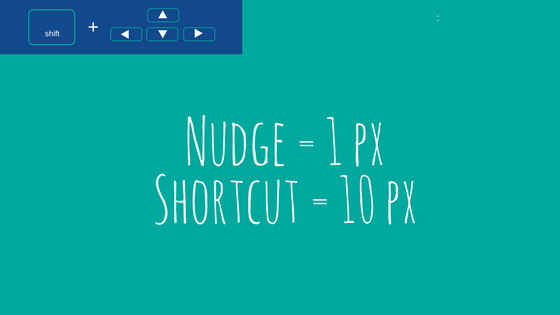 The fast hack: Press/hold “shift” and then press an arrow key for the direction you’d like to go. The slow way: Press the arrow keys 10 times consecutively, moving the element one pixel with every click. Oftentimes you’ll put a design together, and when all is said and done, you want to give something like the headline a shot in all caps, or vice versa. So then you have to retype what you already have so it’s all uppercase, and then you realize you now have to change all the spacing, etc. Such activity is a thing of the past, as this shortcut allows you to quickly toggle back and forth between upper and lowercase. The slow way: Press “caps lock” and type your text, or hold down “shift” while typing your text. Either way, if you change your mind and want to go all lowercase, you’ll have to re-type. One weird thing with Canva is you can bold and italicize just like you could in any other design or even word processor program, but, you can’t underline? 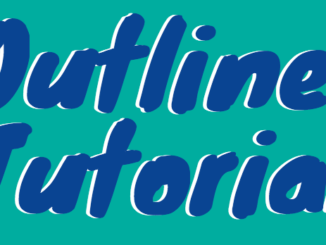 And, how do you outline text in Canva if there isn’t a button or keyboard shortcut? Well, those are discussions for another day…but even in the absence of what seem like no-brainer features, you can add a border around text! Here is how. 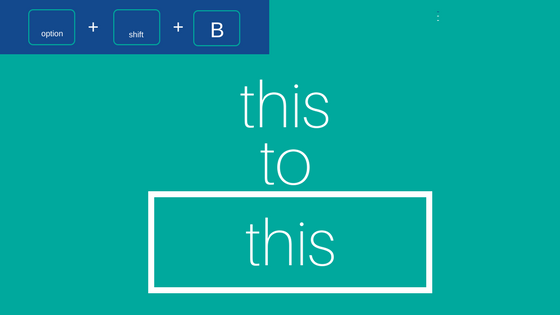 The fast hack: Press/hold “option” and then “shift” and then press the letter “b” while you have a text layer selected. 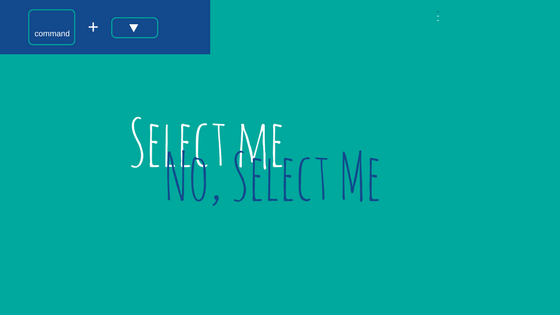 The slow way: Select your text layer, and then…actually, I have no idea! This is the only way I know how (other than simply adding a rectangle around text and then grouping the two together?). 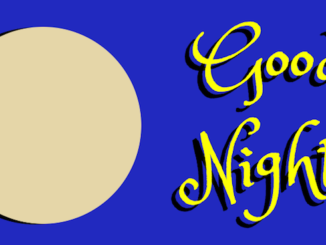 Now that you know how to create a border around text, you need to know how to quickly make it thicker or thinner, or else what’s the point? The fast hack: Press/hold “option” and then “shift” and then press the “+” to make the border thicker, or “-” to make it thinner. 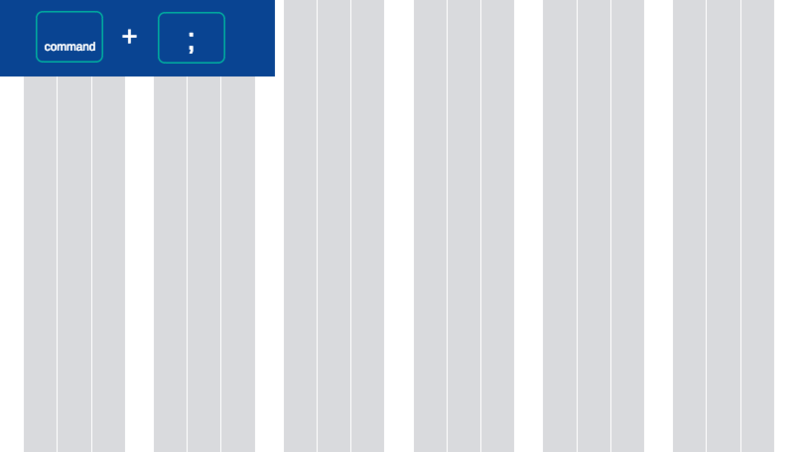 Of course, you need to have the text layer selected. The slow way: Again, I’m not really sure how you can do this without the shortcut! 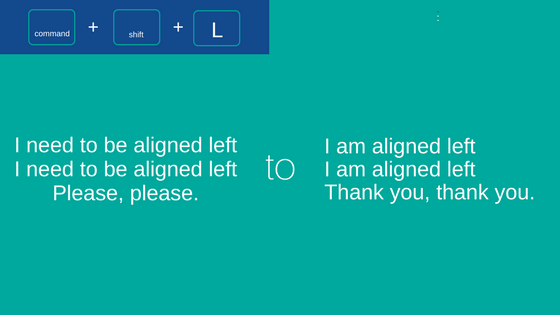 Aligning text may be one of the more common actions taken by most of us using Canva. Now you can do so a bit faster. The fast hack: Select your text element, then press/hold “command” together with “shift” and then “L” to align left, “R” to align right, and “C” for center. The slow way: Navigate with your mouse up to the top canvas navigation and then select the button corresponding to the alignment you’d like to achieve. If you don’t want to toggle between layers and simply want to cut to the chase by selecting the layer in the far back, this one is for you! The fast hack: Press/hold “command” and then simply click your mouse. Sometimes you just want to group (and even ungroup) elements. 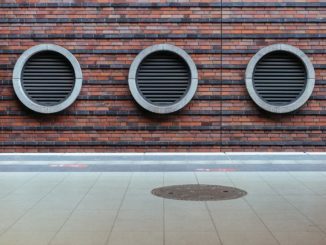 Here is how to do so easily (and more on grouping in Canva, here). 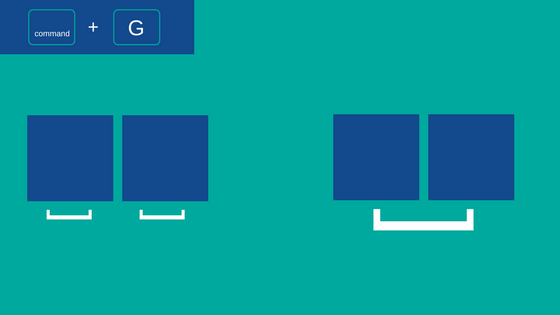 The fast hack: Select the elements you want grouped together. Then, press/hold “command” and press “g” and you’re done. 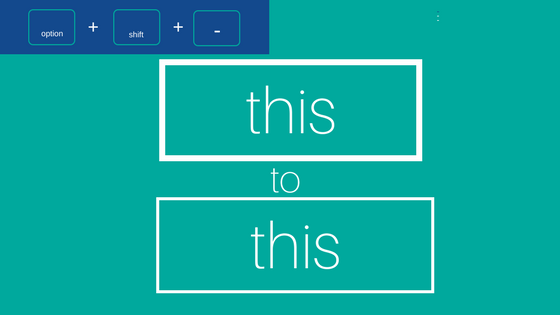 To ungroup, just get a little shifty: press/hold “command” together with “shift” and then press “g” again. The slow way: Select the elements you want grouped. Then, navigate to the top right and select “group” (or “ungroup”). The fast hack: Press/hold down “command” and then hit the “;” button. The slow way: I actually don’t see any other way to make gridlines appear…not from the menus, etc. 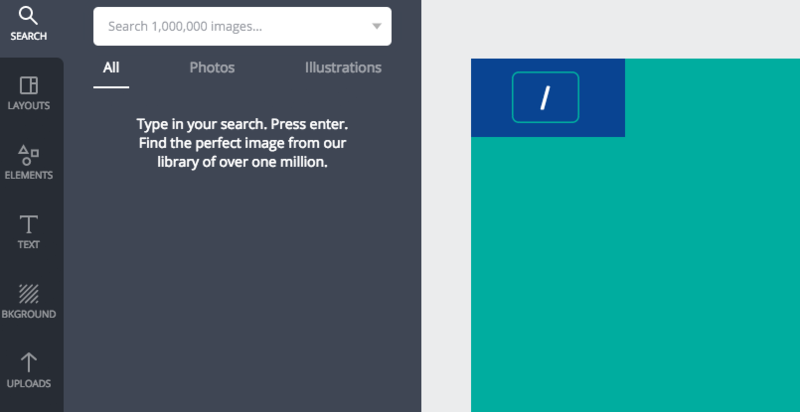 If you need more, here is a sweet little tutorial on Canva itself so you can follow along and test yourself while you learn. Would love to hear about anything else you find useful in the comments. Enjoy!